Less than 10 days left for the 2018 year-end holiday travel period starts and AAA reveals its travel forecast. AAA forecasts that more than one-third of Americans will travel this holiday season. A record-breaking 112.5 million travelers will take to the nation's runways, roads and rails for the year-end holidays represents a 4.4 percent increase over last year and the most since AAA has been tracking holiday travel. 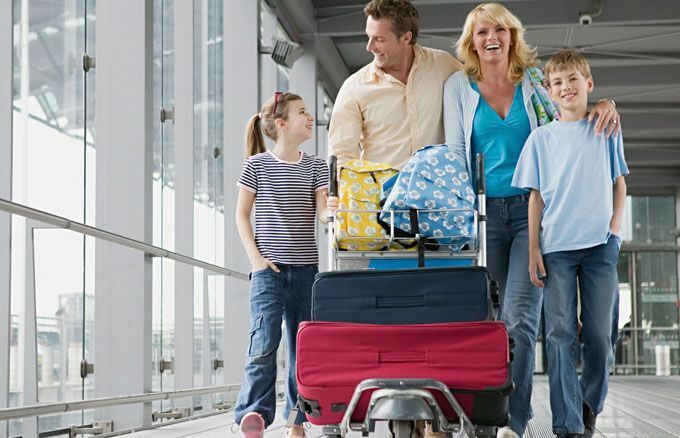 The year-end holiday travel period is defined as Saturday, December 22 through Tuesday, January 1, 2019. The 11-day span is one day longer than last year, due to Christmas and New Year's Day falling on Tuesdays this year. Based on historical and recent travel trends, INRIX expects drivers to experience the greatest amount of congestion before the holiday week – starting on Wednesday, December 19 – as commuters and holiday travelers mix on our nation's busiest roadways. Drivers in Atlanta, New York City, Boston and Houston will see travel times more than three times a normal trip. "With a record-level number of travelers hitting the road this holiday, drivers must be prepared for delays in major metro areas – with Thursday, December 20 being the nation's worst day to travel," says Trevor Reed, transportation analyst at INRIX. "Our advice is to avoid traveling during peak commuting hours. If schedules allow, leave bright and early, or after the morning commute." An analysis of AAA's flight booking data from the last three years revealed that most holiday air travelers depart two or three days before Christmas and return the day after the holiday. This holiday season, Saturday, December 22, Sunday, December 23 and Wednesday, December 26 will be the busiest days in the skies and at the airports. Fewer holiday travelers choose to fly on Christmas Eve (Monday, December 24) and Christmas Day (Tuesday, December 25), which are the lightest travel days around the Christmas holiday. Warm-weather destinations are top draws in the winter months, occupying nine of the top 10 spots on the list of most popular holiday destinations, based on AAA's online and travel agency air and tour bookings. The major cruise ports of Fort Lauderdale and Miami have both gained in popularity compared with last year, on the heels of a strong year for cruise sales. Meanwhile, New York City, the only cold-weather destination to make the top 10, can also expect a growing influx of travelers this holiday season.